The NHS has been in the news a lot lately, and not for the right reasons. Winter bed emergencies, the junior doctor’s contract dispute, student nurses bursaries, and the widespread funding crisis are constantly making front-page news. The sight of junior doctors on a picket line chanting ‘save our NHS’ is one that was utterly unimaginable just a few years ago. As a child of the 70s, I grew up with the security of NHS always being there for me. I suffered from severe asthma throughout my childhood and spent many days and nights in hospital receiving nebulisers and oxygen. The wards were a place of safety for me, the panic that engulfed me as my chest tightened was relieved by the presence of the nurses and doctors around me. They were my saviours. They were always there for me and they never once let me down. Many years later in 2001 I qualified as a doctor and have spent most of my adult life working as an NHS employee. My childhood experiences of the NHS strongly influenced my decision to study Medicine and become a doctor. What was life like before the NHS? 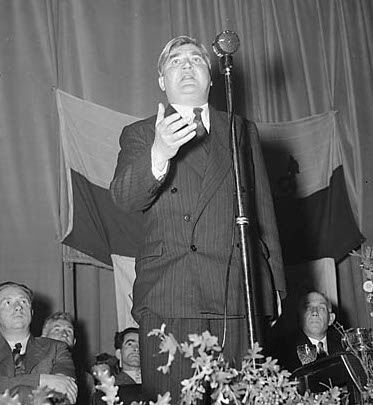 Aneurin Bevan was born on November 15th, 1897 in Tredegar, just a few miles from where I grew up in South Wales. His father was a miner and he was exposed to the problems of poverty and disease throughout his childhood. He had nine brothers and sisters, only six of which survived. He left school aged just thirteen, following in his father’s footsteps to go to work in the local colliery. It was during his time as a miner that he became a socialist and he was heavily involved in the 1926 General Strike, emerging as one of the leaders of the South Wales miners. He was subsequently elected as the Labour Member of Parliament for Ebbw Vale in 1929. Despite suffering from a severe stammer throughout his childhood he went on to become an outstanding, charismatic orator. 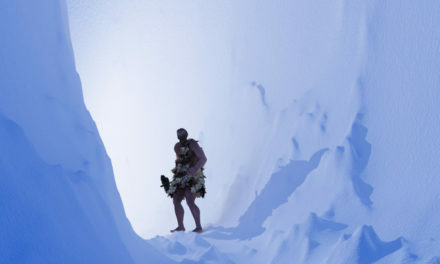 He overcame his stammer by spending many hours wandering the hills above Tredegar practising his public speaking skills alone. During World War 2 Britain was run by a coalition government and it was in this period that William Beveridge published his Report on Social Insurance and Allied Services. This report has since become better known as the ‘Beveridge report’ and it advocated that all people in work should pay a contribution into a state fund that could be used to provide people with subsistence in the form of sickness, medical, maternity, old age, unemployment, widows, orphans, industrial injury and funeral benefits. Labour won an unexpected landslide victory in the 1945 general election and their manifesto promised a health care revolution that was strongly influenced by the Beveridge report. The new Prime Minister Clement Attlee appointed Bevan as the Minister of Health and Housing and gave him the mammoth task of creating a new ‘National Health Service’. Bevan’s stated ambition was to build a health service based on four principles: one that is free at the point of use, available to everyone who needed it, paid for out of general taxation and used responsibly. This all seems very reasonable now, these four principals having been long established and accepted, but at the time the proposal was highly controversial. Bevan faced bureaucracy, inadequate funding and angry opposition from the Conservative Party and the British Medical Association (BMA). There was even division within the Labour Party itself. On July 5th, 1948 the NHS was finally launched and the Labour government took responsibility for all medical services. For the first time ever nurses, doctors, pharmacists, dentists and opticians were brought together as part of a single organisation with free diagnosis and treatment for all. In the years that have followed the NHS has struggled through many early difficulties to become the envy of the world. The service it currently provides is nothing short of extraordinary. In the 14 years that I worked for the NHS, I witnessed the work of many remarkable individuals, whose expertise and dedication are staggering. The formation of the NHS is one of our greatest national achievements and perhaps one of the greatest achievements in history. Returning to a private healthcare system may seem like a solution to some but we only have to look across the Atlantic to see that this is not a magical solution that will make the current problems of the NHS go away. In the US 20% of adults have no usual source of healthcare and medical bills are the biggest cause of bankruptcies. This is surely not the future we want in Britain. Just as Aneurin Bevan fought to set up the NHS, we should follow his lead and fight on for its continued survival.